A man and woman find themselves stranded together over the Thanksgiving holiday by a heavy snowstorm, giving them the chance to gradually learn about each other’s lives and become firm friends. 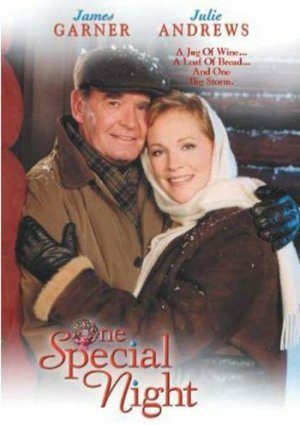 Please play “One Special Night” this year. I wait for it to be on every year. One of the best movies ever. Please show One Special Night in 2017 line up!!!! I, too, have been waiting for this movie for years. PLEASE show it this holiday 2017 season!! It is one of the best movies to put you in the mood for Christmas!!! I too have been waiting to watch this movie for several years. One of the best holiday movies. PLEASE play it this season, 2017!!! Love this movie. I was disappointed it wasn’t on last year. I think you should of have this in your lineup this year. Very disappointed, especially since Jim Gardner passed away this year. My favorite movie. One Special Night in my opinion the very BEST Christmas movie.